David McKeown provides an overview of how to protect your workers from head injuries and hearing damage. 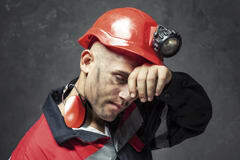 Injuries to the head and hearing are among the most serious that workers can suffer, leading to consequences such as permanent loss of hearing or, in the case of the head, traumatic brain injury or death. Typically, injuries to the head can be caused by a single major event. Hearing loss, however, is usually due to long-term exposure to noise, although short-term exposure to a very loud noise can also produce immediate injury. Whether sudden or gradual, many injuries to the head and ears can be prevented or significantly reduced by the provision and wearing of suitable personal protective equipment (PPE). Before being placed on the market in the European Union, all protection for the head and ears must be subjected to an EC type examination before the CE mark can be applied. Generally, the EC type examination will involve testing to the relevant harmonised European standards by accredited laboratories, followed by an inspection of the technical file covering the product being examined by a suitable notified body. Helmets protecting against, for example, electrical hazards, would be regarded as Complex Category PPE. In addition to testing and the type examination, the factory production of these items must be subjected to regular audits by a notified body according to one of the two procedures in article 11 of the PPE Directive. Whatever the product type, all materials of construction – especially those in contact with the wearer – must be innocuous and chemically safe and inert, so that long-term use does not itself pose a risk to the wearer. Most industrial hard hats, covered by EN 397:2012 + A1:2012 in Europe, are intended to provide protection principally against objects striking the top of the head in locations where tools or other equipment may fall from above the wearer. Where the hazard is judged to be of a lower level, for example, where users may walk into fixed hazards such as low ceilings, hard hats are often replaced by bump caps. These are covered by EN 812:2012 (see below), which provides a lower level of protection than that offered by EN 397. It has been recognised that there are some situations in the workplace where a typical EN 397-compliant helmet may not provide enough protection. As a result, EN 14052:2012 + A1:2012 was developed to allow the testing and provision into the workplace of high performance industrial helmets. The intention of this standard was not to provide a level of performance for a specific end use, but simply to allow a manufacturer to market a product that exceeds the requirements of EN 397. As a consequence, it can be assumed that a helmet complying with EN 14052 offers a greater level of protection than one that complies with the minimum requirements of EN 397. Without specific guidance on the environments for which such helmets are suitable, it still remains the responsibility of the user, supervisor or other competent authority to decide what form of head protection is necessary for the individual job. EN 14052 builds on the test methods and requirements specified in EN 397 to include more onerous tests and requirements, but also to include requirements for additional protection. In particular, protection to the front, rear and sides of the head is assessed – unlike EN 397 where only the crown (top of the head) is tested. It also includes performance tests for the retention system (usually headband and chin strap), which are not typically included in EN 397. For this reason, helmets conforming to EN 14052 would need to include significantly more protection than required for conformity to EN 397. In the shock absorption test in EN 14052, the crown impact – most comparable to the test in EN 397 – is carried out at an energy level of 100J. This is executed by dropping a 5kg striker onto the helmet from a height of at least 2.04m. This is approximately twice the impact energy of the corresponding shock absorption test in EN 397 (49J), with the same performance requirement of a maximum transmitted force of 5kN through the helmet. The off-crown impacts (to the front, rear and sides) are carried out at an energy level of 50J, but they are assessed in a different manner using a different technique; for instance, by using an accelerometer rather than the load cell used for crown impacts. Penetration tests are carried out using a flat blade striker, more closely reminiscent of the testing required for firefighters’ helmets (EN 443) than industrial helmets. Although a similar energy level to that specified in EN 397 is used, the significantly smaller, sharper striker means that this is a more severe test. As with EN 397, the requirement is that the striker must not penetrate the helmet to the point where it makes contact with the headform supporting the helmet; however, an additional requirement for the force transmitted on impact (maximum of 5kN for crown impacts and 15kN for off-crown impacts) is included in the same test. Shock absorption and penetration tests are carried out after conditioning the helmets at low temperature (-10 °C), high temperature (+50 °C), water immersion, and artificial ageing (exposing helmets to UV light from a high pressure xenon lamp). EN 14052 includes similar optional tests to those specified in EN 397 (higher and/or lower temperature resistance, electrical resistance and molten metal splash). The optional lateral deflection test in EN 397 is not included, but an optional test for radiant heat similar to that specified for firefighters’ helmets (EN 443:2008) is included. Bump caps are intended for use when there is a significant risk of impact between the head and stationary objects, such as low ceilings or hanging items. The testing and requirements are defined in EN 812:2012 and are similar in principle to those in EN 397, but use a lower level of severity to reflect the reduced level of protection associated with the caps. As an example, the impact energy in the shock absorption test for EN 812 helmets is 12.5J compared to 49J in EN 397 and 100J in EN 14052 for the corresponding testing. Impacts are carried out on the front of the bump cap, with the fixed headform tilted at angles of 30º and 60º, and on the rear again with the headform tilted at the same angles. This is done to reflect the nature of the impacts on bump caps, which tend to occur from walking or reversing into a low ceiling, such as the edge of a shelf in a warehouse. Impact testing is carried out after conditioning the bump caps at low temperature (-10 °C), high temperature (+50 °C), water immersion, and artificial ageing (exposing helmets to UV light from a high pressure xenon lamp). Worldwide, approximately 900 million people suffer with some form of hearing loss, which has often been acquired at their place of work. Many instances of work-related hearing loss could have been prevented with the correct use of adequate hearing protection. Most industrialised nations have some form of occupational noise legislation. For instance, in the UK the Control of Noise at Work Regulations, based on a European directive, provide minimum health and safety requirements. These regulations set out the action values and exposure limit values at which employers must act. At a daily or weekly exposure level of 80dB(A)/135dB(C) peak or more, the employer must provide information and training to staff and make hearing protection devices available. At 85dB(A)/137dB(C) peak and above, the employer must take reasonable action to try to reduce the noise in the workplace by using engineering controls or administrative methods. If the noise cannot be reduced in this way, hearing protection devices become mandatory. There is also an exposure limit value of 87dB(A)/140dB(C) peak, above which no worker can be exposed. Hearing protection can be found in many different forms, whether standard earmuff or earplug designs, known as passive devices, or more complex models incorporating electronic systems which react differently in varied noise environments, known collectively as active devices. The performance of models in their passive state is dependent on several factors. The depths of the cups that enclose the ears, the headband force and the acoustic absorption of liners are just a few of the variables contributing to the effectiveness of earmuffs, while size, fit and construction material generally govern the performance of earplugs. The protection provided by any device, however, will be compromised if it is poorly fitted or incorrectly worn – even the slightest break in a seal around an earplug or the cushion of an earmuff will reduce the attenuation (noise reduction) provided by the hearing protection. Because of this, it is important that wearers are shown how to correctly use their hearing protection. The wide range of hearing protection types available is reflected in the number of European standards governing this testing. The EN 352 series of standards is made up of eight parts, which cover the general requirements of each type of hearing protector. For example, parts one and two relate to passive earmuffs and earplugs respectively. Part three sets out the requirements of earmuffs attached to industrial safety helmets, and the final five parts cover active devices, including level-dependent, active noise reduction and audio input devices. The testing scheme differs for each type of device; however, each of them must undergo physical and acoustics testing as well as a review of product marking and wearer information. One of the first physical tests undertaken in the testing scheme is a materials and construction assessment. This confirms that the device is free from sharp edges, is safe for use and that any cleaning and disinfection methods specified cause no damage or impairment to the hearing protection. A sizing assessment is also required to ensure that the product is suitable for the range of head sizes designated by the manufacturer. The majority of devices are classified as ‘medium’ size range, which should fit the vast majority of the population. Products can, however, be classed as ‘small’ or ‘large’, and must be clearly labelled so before they are placed on sale. During this test, a range of fitting rigs, moulded headforms and size gauges are used to ensure that the products can meet specified test dimensions and so provide an adequate fit for the consumer. For earmuffs, the cup rotation, headband force and cushion pressure are assessed to confirm that the cups can be rotated sufficiently. This will indicate if wearers can adjust the device for the best fit and ensure that there is no excessive pressure upon the head from the combination of cushions and headband. Resistance to damage is evaluated by dropping the hearing protection from a specified height onto a solid steel plate. If any part of the sample cracks or breaks, the device will fail the test and will most probably require redesign before resubmitting for testing. This testing can optionally be conducted at -20 ºC for devices that are designed for use in colder environments. The durability of headbands or standby mechanisms, which allows helmet mounted earmuffs to be returned to the position that they occupy while not in use, are also tested if they are incorporated into the device. This is gauged by placing the cups of the product onto a pair of plates that oscillate between a minimum and maximum separation distance. The process continues for 1,000 cycles to replicate the action of a wearer fitting and removing the device or activating the standby mechanism. Conditioning then takes place in the form of water immersion for 24 hours. As an option, this can be conducted with the headband under stress and with a parallel spacer placed between the cushions of the device. Once complete, the change in headband force is measured for a second time, with a maximum deviation between the two measurements providing the pass criterion. If earmuffs with fluid-filled cushions are under test, resistance to leakage must be assessed. A vertical load of 28±1N is applied to the cushion for 15 minutes, and any leakage caused will constitute a test failure. The final physical test, which is undertaken for all types of hearing protection, is an ignitability assessment. A steel rod heated to around 650 ºC is applied to the device. If any part ignites or continues to glow after the removal of the rod, the device fails the ignition test. All types of ear protectors are required to undertake subjective attenuation testing (the level of noise reduction noted by the wearer), but only earmuffs are subject to insertion loss testing. Insertion loss is the algebraic difference between the sound pressure level with and without the earmuff fitted to a test fixture. Rather than requiring human subjects, this test uses an acoustic test fixture (ATF), which simulates the approximate dimensions of the human head. Microphones are housed in cavities in the sides of the ATF to replicate the position of the ears. The testing is normally conducted in an acoustic tunnel, with a loudspeaker at one end and acoustically absorbent foam at the other and along the length of the tunnel. This creates an anechoic effect, meaning that generally sound waves striking the sides and the end of the tunnel are absorbed rather than reflected, thus allowing a plane progressive sound wave that moves in one direction only, with no reflections from side walls or ends, to propagate along the tunnel. It is worth noting that this test sets no limit on the minimum attenuation that should be achieved. It is designed to assess the difference in the attenuation values between ten samples of the same earmuff model, in order to ensure that there is not a major variation in performance. The subjective attenuation test uses human subjects to assess the performance of a hearing protection device, and requires a minimum attenuation value to pass the test. The results of these tests are published for the model when it is placed on sale and supplied to wearers. This test measures the threshold of hearing, which is the lowest sound pressure level perceivable by the ear of 16 human test subjects, with and without the hearing protection being worn. The performance of the model is calculated from these values. Assessing a subject’s threshold of hearing requires extremely low background noise levels. These noise levels are so low that they are expressed in negative decibels. These chambers are designed to insulate against sound travelling through their structure and use a heavy-duty construction of two independent walls, separated by a cavity and filled with acoustically absorbent insulation. Anechoic literally means “no echo” and is achieved by covering the internal walls and ceiling with foam wedges that absorb acoustic energy across a wide range of frequencies. There are different ways to quantify the performance of the device in question. SNR (Simplified Noise level Reduction or Single Number Rating) provides a single attenuation value based on the subjective tests. Theoretically, this value can be subtracted from measured external noise levels in order to estimate the noise level at the ear beneath the hearing protection. It should be noted, however, that this method does not provide any information as to how much protection is provided in different frequency ranges, which is why the HML (high, medium, low) rating system is also required. HML provides further detail, allowing the attenuation provided to be assessed across high, medium and low frequency ranges. This is particularly useful if a prospective wearer is subjected to narrow band noise rather than broad band noise, as it allows a more accurate assessment of the noise level at the ear. Marking of the device and the information provided to wearers also needs to be inspected. This involves a review of the supplied user manuals and an examination of the final product to ensure that the correct markings are present, and that the required information is supplied to users, as specified in the relevant European standard. This article has focussed on protection areas individually, however, combinations of different PPE can be provided in a single unit. The most common example is helmet-mounted earmuffs, where the helmet must meet the requirements of the applicable helmet standard such as EN 397 and the earmuffs must meet the requirements of EN 352-3. This article has covered the requirements for the testing and type examination of hearing protectors and protective headwear. Before placing any product on the European market, manufacturers and distributors must ensure that their products are tested and CE marked to the correct standards and that labelling and information for users carries the information necessary for safe use. For non European markets testing should be carried out to the appropriate standards as required by those regions, such as ISO, ANSI or AS/NZS. Users of PPE should also check that the product issued to them is sufficient to mitigate the potential hazards identified in their workplace by risk assessments. In addition, all PPE that is used in a work environment should be checked before each use for damage or deterioration, and replaced if there is the slightest doubt about its ability to protect.